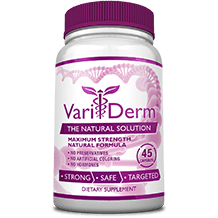 If you are a spider vein sufferer, this review of Varicose Vein Lotion With Vitamin P is for you. We know how stubborn the symptoms of spider veins can be. Some sufferers turn to remedy after remedy only to be frustrated. This lotion comprises more varied ingredients than most others. Some ingredients are not found in other treatments. We will assess how this Reviva Labs product can aid you, and to what extent. Spider veins or ‘blue’ veins often bulge out beneath the surface of the skin on the legs. Some sufferers find this embarrassing and unsightly. Blue veins can be caused by many factors, including genetics, a lack of good blood flow, obesity, standing for long periods, a lack of exercise and poor oxidation. Taking birth control pills and going through hormonal changes can also cause spider veins. Some of the symptoms are tingling, itching, burning, pain, throbbing and a feeling of heaviness in the legs. The good thing about this product is that it purports not just to treat the veins, but the swelling around the ankles as well. 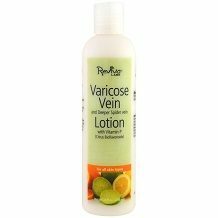 Let us turn our attention now to the composition of Varicose Vein Lotion With Vitamin P.
Important ingredients here are hesperidin, aloe and horse chestnut. Horse chestnut has important properties. It has an anti-swelling effect and is an anti-inflammatory. It also reduces the bulged appearance of spider veins. In addition, it contains aescin, which improves vein strength and elasticity. Importantly, aescin stops enzymes that damage the capillary walls from being released. Hesperidin is an antioxidant which works well to strengthen capillaries and to heal capillary disorders. Generally, it helps reduce the chances of spider veins developing. It is particularly effective when combined with other citrus bioflavonoids. As a result, it’s not surprising to see orange oil and lemon included in the ingredient list. Aloe is known for its immensely soothing properties. Witch hazel is a prominent ingredient used to fight spider vein symptoms. It is missing from this blend of ingredients. Vitamin P improves blood flow and can unclog capillaries. Apply to the affected areas every morning. Do not use the product on your eyes or open wounds. If you are pregnant or breastfeeding, consult a doctor first. Although bad reactions to some of the oils are rare, it can happen. Consult a doctor if your skin worsens. The product retails for $23 a bottle on the product website. There don’t appear to be discounts or upsell bulk discounts. However, you can purchase it for $18.95 on Amazon. There does not appear to be one. We like that the product reduces swelling. Some other spider vein treatments do not specifically work to reduce this. Even though the formulation is thorough, the product receives average reviews. Its effects are reported as either excellent or as not making a difference. This means that the product probably works best on mild to moderate symptoms. One issue is not being able to try the product risk-free. We feel that although this is likely a good product, varicose veins should also be treated from the inside. A topical application is bound always, in our researched opinion, to only go some of the distance towards easing symptoms completely. There is the risk of symptoms returning. If you don’t mind there not being a guarantee, it can’t hurt to try this product.